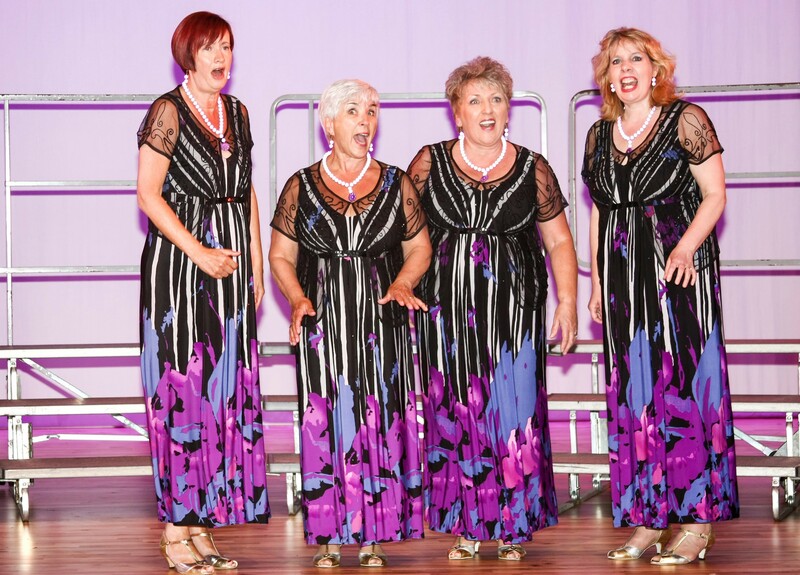 Joining the Aberdeen Chorus also gives you the opportunity to be part of a quartet – four part harmony singing with just one voice singing each part. Many singers try their hand at this during their time in the chorus and sometimes a quartet is more appropriate for a smaller venue than the the whole chorus. See below for details of current quartets from the Aberdeen Chorus. 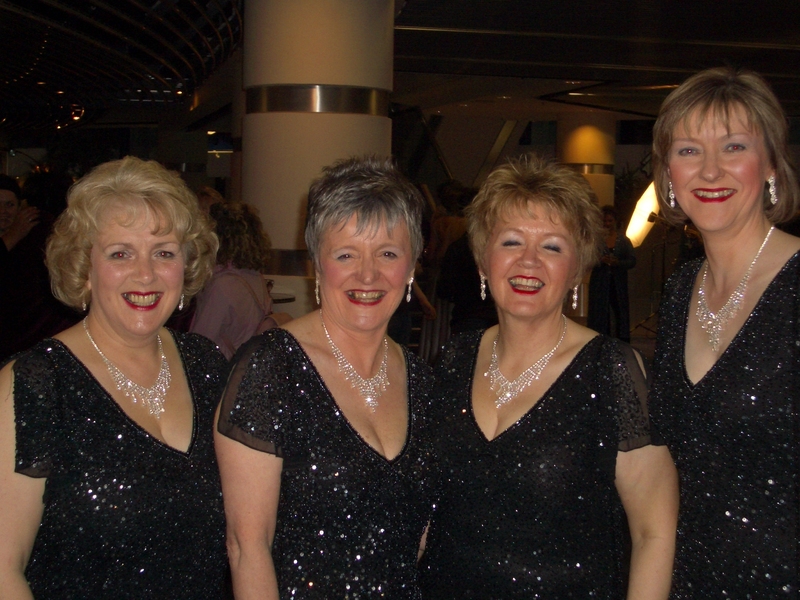 Stardust & Sparkle Quartet was formed in 2015 - Ruth, Mairi, Alison and Jane are all members of the award winning Aberdeen Chorus of Sweet Adelines International. We share a love of singing and performing and we also love to compete. We have entered the national Barbershop competition several times and have been delighted to win the Barbershop Quartet Class at the Aberdeen and North East Music Festival in 2015 and 2017. Our repertoire includes a mix of songs, old and new covering many genres of music. If you would like us to sing at your event please message us via our facebook page www.facebook.com/StardustSAI or contact Alison at alison.soutar@gmail.com. 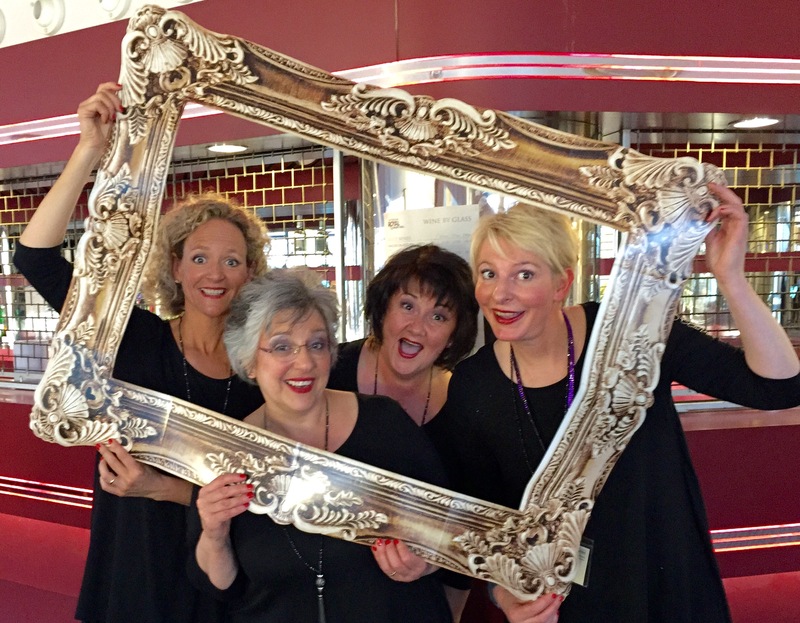 Four voices blended in harmony and singing without accompaniment, Vocal Zone sings a wide range of songs including jazz, soulful ballads, gospel and Scottish. Shows, concerts, corporate events, weddings or Burns Suppers, there is something in their repertoire for every occasion. The quartet performs in a wide variety of venues both in and around Aberdeen and further afield. With no need for musical accompaniment of any kind, the quartet can travel light and sing anywhere! They can be booked for concerts, shows, weddings, corporate events, pre-dinner entertainment, functions or Burns Suppers. Contact Val for details of how to book the quartet or see their website for more details. Sweet Adelines International – the worldwide organisation of singers.